Ben Ellison: Except for the possible name confusion, I’m very pleased to report that Ben Stein has become Panbo’s new Publisher while I get to focus entirely on the Edit side. As you may know, “new Ben” has been serving as a Contributing Editor since January, we walked the Miami Show together, and it was “Ben S” who spearheaded the Panbo website rebuild that went live in late March. We’ve been working together closely for eight months, and I know beyond a doubt that he shares my deep enthusiasm for marine electronics and is similarly determined to cover the subject fairly and thoroughly. “Young Ben” will also continue to research and write about electronics as Contributing Editor, so the main change is behind the scenes as he and Laura Stein take over Panbo business and advertising responsibilities. Ben and I will attend the NMEA Conference together; Ben S will be at IBEX, in part as an Innovation Award judge; and I’ll be at METS, my first as a member of the DAME jury. I think that Panbo will be lively in the coming months and its overall future is bright. 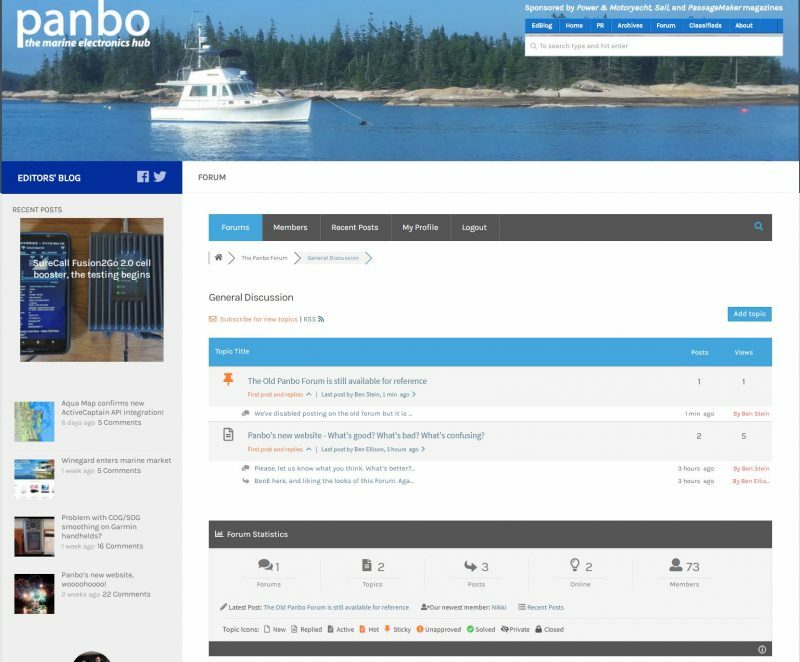 Ben Stein: I’m very excited to be taking a greater role at Panbo and in the marine electronics industry. Boating has been my passion for as long as I can remember and for the last two years I’ve been fortunate enough to live and breathe my passion. 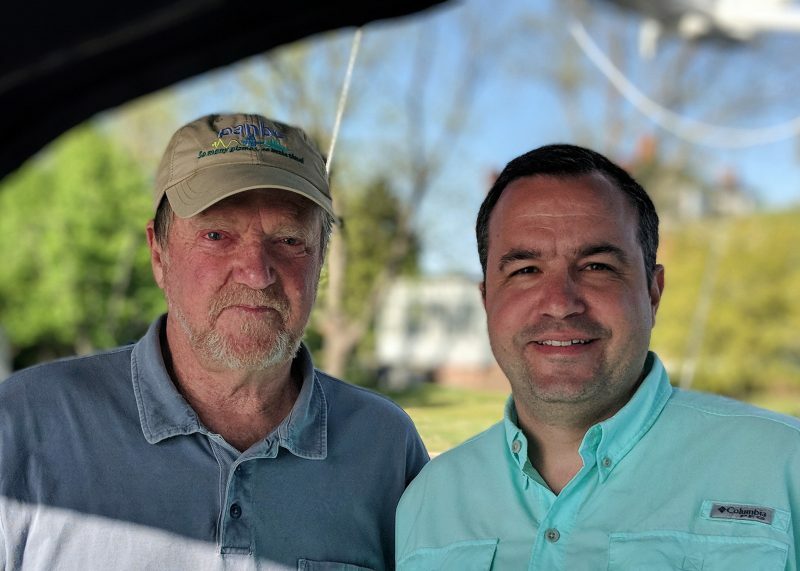 I look forward to working with Ben and together continuing the amazing work Ben E has done covering marine electronics for all sorts of boats from companies large and small, and even do-it-yourselfers. As I mentioned in my blog entry, we’re on the search for our next boat. In the meantime, we’re heading down the western rivers with Have Another Day, our Carver Voyager 570. I’m planning on a winter of evaluating, testing, and reviewing gear from the warmer climates of the Gulf Coast and Florida. For more information see the revised About Panbo pages. Panbo editors Ben Ellison and Ben Stein usually create their own Panbo entries, but sometimes we write together. Congratulations to both “Bens” (as it were) . . . You guys are so lucky to have the opportunities that most of us just dream about . . . but the work isn’t easy, as some of us have perplexing questions and as DIYers, we all strive to learn “how” and “why”. I’m sure you’re up to the task at hand; you seem to make it look so easy. So, enjoy and keep at it!! Bens all the way down. Congrats to you both and keep being awesome! Congratulations to Ben S on stepping up and Ben E on stepping back a bit. Integrity has always been a cornerstone, a true hallmark of Panbo, and I’m confident that’ll continue with the new arrangement. Just keep telling it like it is! can’t wait to read DAME award jury report! Many thanks to each of you for the kind words. Ben and I are both very excited about what’s to come!